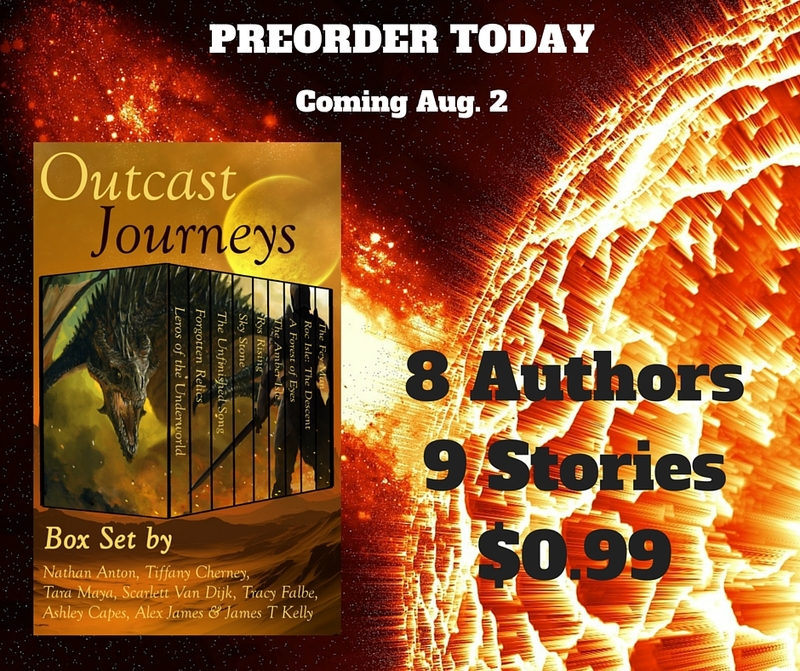 Fantasy and Sci Fi readers who’re looking for new authors to enjoy should pick up Outcast Journeys: Fantasy and Sci Fi Box Set by Eight Great Authors. 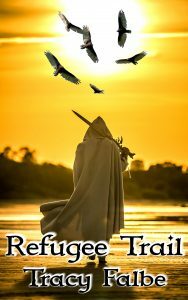 This ebook box set is only $0.99 and represents a collaboration among authors from the United States, United Kingdom, and Australia.. 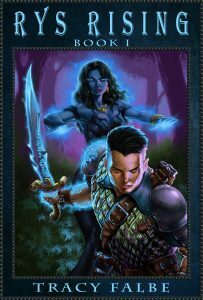 They are Nathan Anton, Tiffany Cherney, Tara Maya, Scarlett Van Dijk, Tracy Falbe, Ashley Capes, Alex James & James T Kelly. This value-priced box set will release on August 2nd. You can preorder it right now for only $0.99 and have it automatically available to you on August 2nd. This box set is available worldwide at Amazon Kindle, Apple iBooks, Google Play, Kobo Books, and Barnes & Noble Nook. 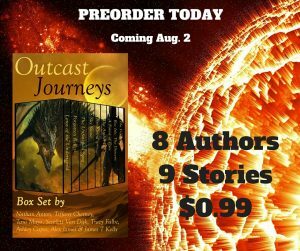 Visit the Outcast Journeys page at your preferred retailer to see details about the 9 novels and novellas included in this anthology.